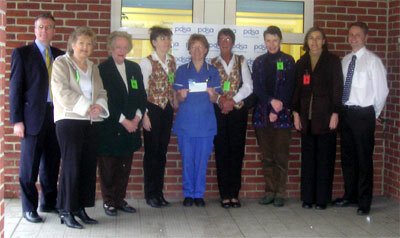 A photo tour around Newcastle's PDSA PetAid Hospital and a cheque presentation on behalf of the Catsup Project. The balance in the Catsup Project's bank account recently reached just over £1,000 again, so it seemed like a good time to hand over another cheque. This time I arranged to make the presentation at the hospital itself. Jen, Nora, Margaret, Helen and Ann from Winlaton, all of whom have helped the Catsup Project, came along too. None of them had actually been to a PetAid hospital before, so for the first time, they were able to see what their time and effort was helping to maintain. The Boys sent their apologies. Despite numerous assurances that they would not find themselves on an operating table, being given a whiff of gas and then regaining consciousness to discover they were minus a body part or two, they were adamant. They had urgent appointments with a duvet and a radiator that they were unable to cancel. 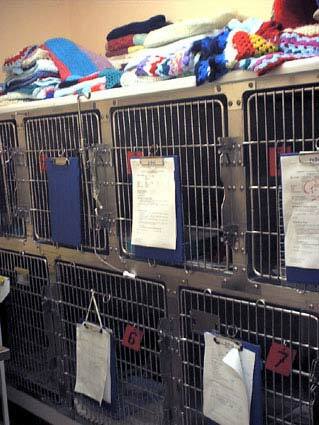 PDSA receives no state aid at all. They are entirely dependant on donations. I hope you'll be as impressed as we all were, at how the money that comes in, is spent. Now the introduction's over and the pictures have all had time to load, please step inside and take a short tour of the Newcastle hospital. This is the reception area. It's quiet in this picture, but it would have been a different story a few hours earlier. 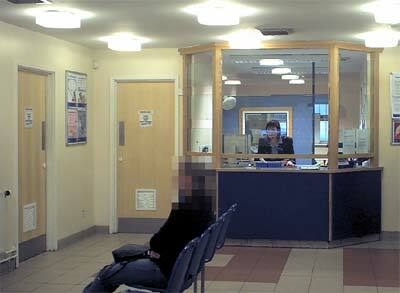 This view of the reception area is taken from a different angle. The 3 doors lead to consulting rooms where the pets are examined. 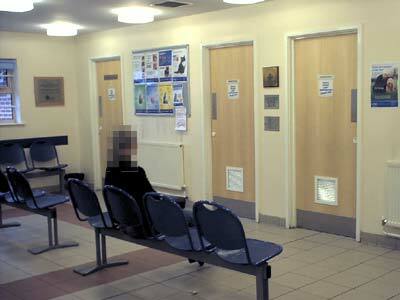 The door on the far left is the nurses consulting room. The Catherine Cookson Trust kindly paid the building costs of it. You can just see a plaque on the door acknowledging this. 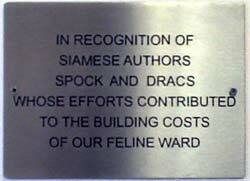 A plaque acknowledging The Boys contribution to the building costs of the Feline Ward is on the wall between the two doors to the left. It is the lower of the two plaques. 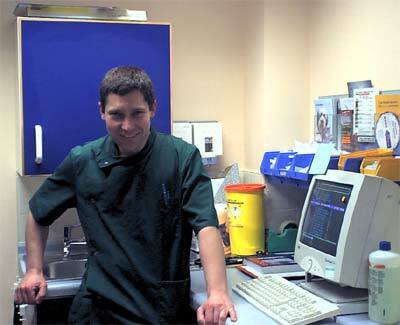 Geoff is one of 5 veterinary surgeons working at the Newcastle Hospital. 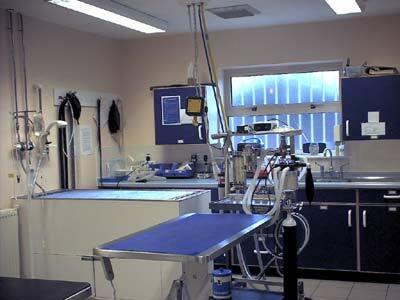 Moving away from the public areas, we were taken round the large operating theatre. 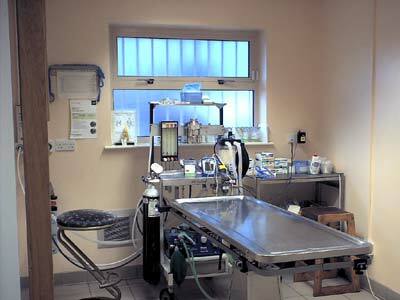 This is where minor or routine operations are carried out. This is the other end of the same operating theatre. 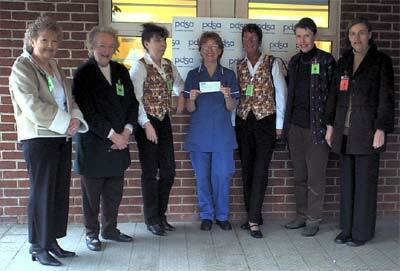 Margaret, who's standing behind the table is one of the Newcastle Hospital's veterinary nurses and their longest serving member of staff. Marion in the middle of the picture is the Senior Veterinary Nurse and was our guide throughout the tour of the hospital. Joanne on the right was at the hospital doing work experience. Leading off the large theatre was a much smaller one. This is where the more serious procedures are done. This is the inside of the small theatre. 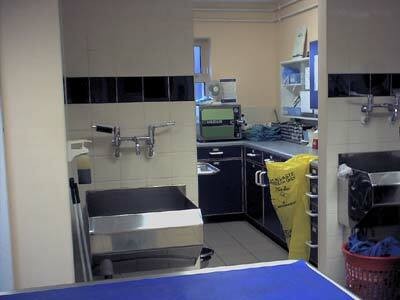 Opposite the smaller operating theatre is the xray room. The table is especially appreciated by the staff as it is fully adjustable and they no longer have to lift heavy animals who need an xray. 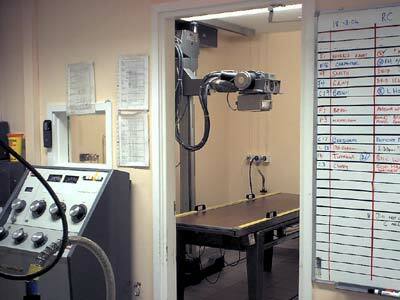 The Board on the right of the picture lists all the surgical procedures scheduled for the day. Those in blue were prebooked. Those in red were emergencies that had cropped up as the day went on (It was about 2.30pm when I took the picture.) Some of the operations had not yet been done. 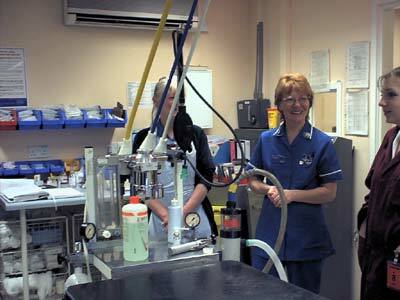 Both wards have special heating, which can be adjusted, independently of the rest of the Hospital. I especially liked the comforting touch of the heaps of blankets in both wards. The drugs store. 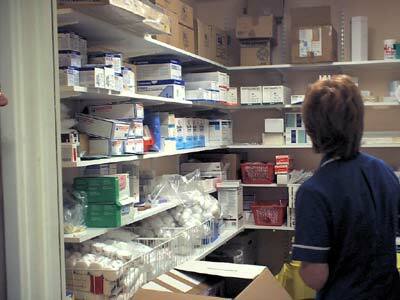 Marion told us that ordering the drugs and ensuring there were sufficient stocks of them was her responsibility. We saw other areas of the hospital too, an isolation ward, a small laboratory, a small office and the staff rest room where we were given tea and coffee and had the chance to have a chat. We were made so welcome, it would have been easy to forget the main purpose of the visit! Ann in her Catsup "uniform"
The volunteers with Marion. Our "uniform" is the one Jen and I wear when we run one of the Catsup stalls. To go to PDSA's official website click on their logo below. You can never be sure what you'll find on Ann's Page. It changes whenever Ann feels inspired and it's completely different each time. If you'd like to see what was previously on Ann's Page, click go to our Archives If you'd like to know when Ann's Page changes, please feel free to join our mailing list.